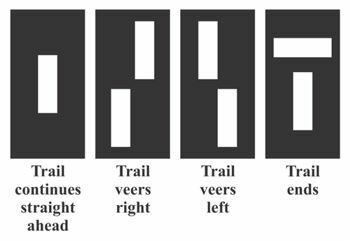 usage of the GPS receiver is related to hiking trails in Ontario and the U. K. I have applied my GPS knowledge and self-taught graphics work to assist with the production of trail maps in a traitional format. That is, the Grand Valley Trails Association Guidebook and the Avon Trail Guide, come as a set of paper maps. They were created using GPS tracks. As an example, in 2011-2012, Jan and I walked and GPS'd the Avon Trail (Ontario). Robbie, one of our sons, was completing his PhD at the U.B.C. School of Forestry. He volunteered to transfer the Avon Trail track we provided onto appropriate maps. The end result is the current Avon Trail Guide. Hiking associations have the task and cost of asembling the guidebook files, having them printed at a cost and then selling them. All that is changing. More trail-related data and maps are being offered electronically for use in "app phones" (new name for smart phones) and tablets. Or, one can sometimes download the GPS track for a hike and use it in a GPS receiver that has local topo maps installed (no special app involved).Sometimes I convert my GPS tracks to files that may be viewed in free online resources like Google Earth and Google Maps. It allows me to see where I walked (e.g. across Scotland). Also, I can perform a screen capture resulting in an image of that track and use it in a PowerPoint presentation. View an example >> Seven-hike series of the Walter Bean Trail. 2) What are latitude/longitude coordinates? GPS tracks of some of my hikes are available in the Hikes section.With this information you may wish to plan a hike(s) with family or friends. But, don't hike alone. Also available is a list of my Group or Upcoming Hikes. These are hikes that may be posted on other websites such as the Grand Valley Trails Association. 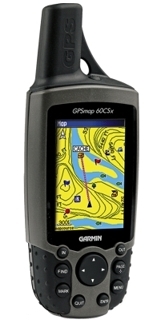 Do You Need GPS Technology to Hike? In southern Ontario, many of the trails are well marked. For example, the Bruce Trail clubs create and maintain the footpath. In a case like the Bruce Trail Conservancy, the trail is marked with directional blazes on trees and posts. There are other trails blazed the same way. Ontario conservation areas usually have their own, well marked trails and part of the admission fee usually includes a trail map (ask for it). The Bruce Trail sometimes passes through a conservation area and one will find trail signage done by the Conservation Authority and the Bruce Trail Conservancy. One example would be Crawford Lake Conservation Area. So, in places like southern Ontario you may not need GPS tracks and electronic devices like a Garmin GPS receiver, a quality "app phone", or tablet. In 2018 one can still buy paper maps of trails from most hiking associations. However, there is a move underway to shift away from producing and selling paper trail maps to producing and selling trail information electronically. So you may wish to examine the Bruce Trail Conservancy website for details or the Fugawi Bruce Trail App web page. Also, a number of trail organizations, that are members of Hike Ontario, are investigating the possibility of producing their trail data electronically and providing it via an "app" to replace the older, paper maps sold in a guidebook. The reality is that more and more people possess app phones (replaces the old smart phone term) or app tablets. Depending on the device and the quality of the app you use, such a resource for those who hike frequently this new method may be worth the investment. Here is one link to a website where the article is entitled 15 BEST HIKING APPS and it is only one of many available via Internet searching. An aquaintance of mine in British Columbia tends to explore some trails in more remote locations. That is, the trails he walks are not walked by many people and are not blazed. Using his realtively inexpensive android tablet he can acquire the appropriate map(s) and GPS files of a trail (maybe posted by another hiker) while is is connected via WiFi at home. Then he heads out to the trail (no cellular chip) location. When on the tyrail he has the map and the GPS track on his tablet & the tablet contains a GPS receiver. So he can walk the trail that may not be that evident at times but he can see if he is on the trail by checking the tablet screen. At the same time he is recording his own walk. It is my understanding that he uses the app called ViewRanger. Check out: 1) how to use lat/long coordinates in your in-car GPS Nüvi or Drive Smart and 2) What are latitude/longitude coordinates? Here are some freebies that are rather good quality. Other Resources >>> If the next two links are outdated, check GPS Cycle and Walking Routes for up-to-date links.